Frank Russell, CEO of Prositions, Honored with Learning Champion Award | Prositions, Inc. Frank Russell, CEO of Prositions, Honored with Learning Champion Award | Prositions, Inc.
Frank is an influential business and technology leader, visionary advisor, and true innovator of the learning industry. Since 1985 he has founded three companies in the learning industry. Since the inception of his first company, his goal has been to create and provide transformational learning technology and services to organizations. Frank has also served as the president and board member of several training media associations. Currently as the CEO of Prositions, Frank is impacting the mentoring industry and revolutionizing the way organizations develop and engage their talent. 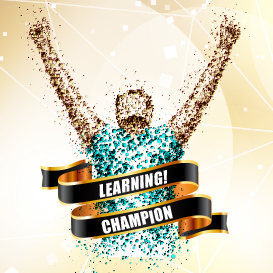 The annual Learning Champion Award recognizes individuals for exceptional contributions to the industry. Nominees can be innovators, thought-leaders, trailblazers, mentors, cutting-edge technologists, rookies, creative consultants, or high performing professionals that positively impact the learning industry. The awards ceremony took place on Wednesday, June 8th at the Anaheim Convention Center.